The day before yesterday, I wrote about two things I wanted to see in Bolivia. I mentioned the Salar de Uyuni in passing and concentrated on the “Death Road” linking La Paz and Coroico. 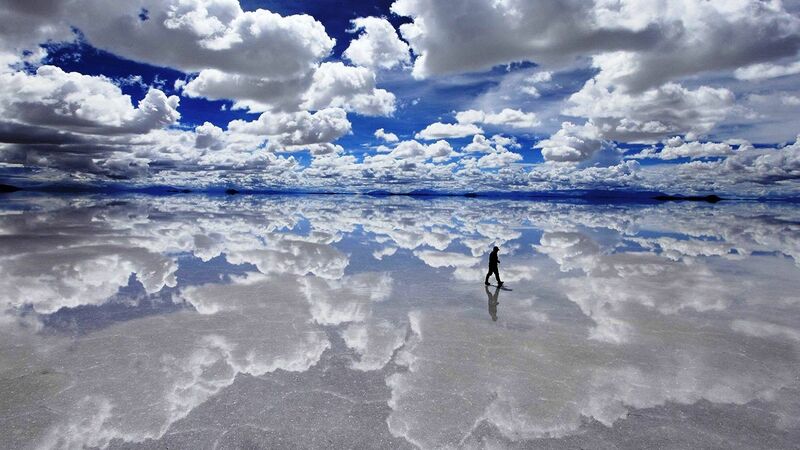 The Salar de Uyuni is the world’s largest salt flat (over 10,500 square kilometers and 4,000 square miles). On a couple of occasions, I have seen one of the largest salt flats in the United States: the so-called “Devil’s Golf Course,” located adjacent to the lowest point in the continental United States, Badwater in California’s Death Valley. There is something about the Salar de Uyuni, however, which is even more spectacular. The flats are frequently covered with a shallow sheet of water that reflects the sky above (as in the photo). It is supposed to be difficult to reach the salt flats except on a jeep tour from Uyuni or Tupiza in Bolivia or San Pedro de Atacama in nearby Chile. If I went, I’d probably need a sleeping bag and a whole lot of other things that I rarely travel with. But it does look like an awesome place. Interestingly, beneath the salt flats is the world’s largest supply of lithium, as much as 50-70% of the world’s total reserves. The current government doesn’t want to kill the goose that laid the golden eggs (that is, tourism) in return for destroying one of the world’s most incredible beauty spots and extracting all the lithium. 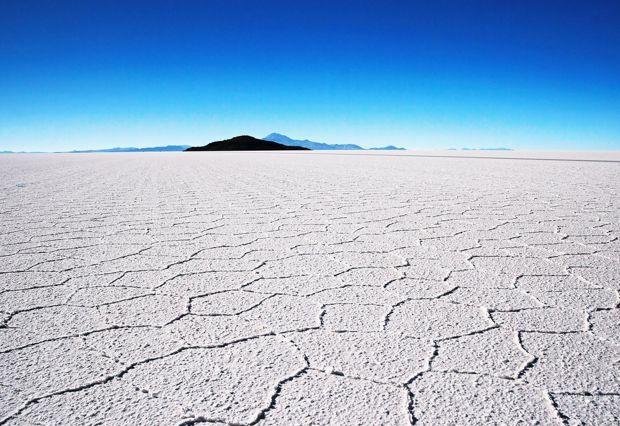 This entry was posted in quote and tagged bolivia, lithium, mining, salar-de-uyuni. Bookmark the permalink. That first photo is incredible–walking among the clouds.